Today we welcomed home two daughters of the parish celebrating their Golden Jubilee as School Sisters of Notre Dame. 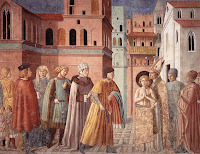 This presented quite a challenge in finding a way to relate the parable of Lazarus and the rich man with the anniversary of a religious profession, but I think it works out rather well. The Sisters, at any rate, were pleased. What is it about the rich man that we detest so much? Why are repulsed by the thought of him? It is surely not because of anything he has done, but because of what he has not done. Lazarus, the poor man, lies dying on his doorstep and he does not even drop a morsel to help him. In his complacency, the rich man will not allow his heart to be moved with love, with sympathy, with compassion; he does not even pity the poor man. The rich man does not recognize Lazarus as a human being and he does not even treat him as a dog. Simply recall Jesus’ encounter with the Canaanite woman: “Please, Lord,” she said, “even the dogs eat the scraps that fall from their master’s table” (Matthew ). While the rich man lifts not a finger to care for Lazarus, the dogs come and care for him as one of their own. This is the rich man’s reality. He sees no purpose, no meaning, no direction for his life. He goes from day to day feeling empty, lonely, sad; yet he is too proud to admit it. His real fault is his pride and for his pride he is tormented. In his pride he refuses to love the man dying before his eyes and he turns instead to a life of revelry – of drinking, food, and games – to satiate the longings of his heart. He seeks the fulfillment of his desire not in God, but in the things of this world. This is what separates the rich man from the poor man. For I was envious of the arrogant, when I saw the prosperity of the wicked. For they have no pangs; their bodies are sound and sleek. They are not in trouble as other men are; they are not stricken like other men. Therefore pride is their necklace… Their eyes swell out with fatness… They set their mouths against the heavens… Therefore the people turn and praise them; and find no fault in them. And they say, ‘How can God know? Is there knowledge in the Most High” (Psalm 73:3-11)? Is this not the question each of us asks from time to time? Why do the just who are poor suffer and the rich who are wicked thrive? Does God not notice? Does he not pay attention? Does he not care? May their belly be filled with good things; may their children have more than enough… As for me, I shall behold your face in righteousness; when I awake, I shall be satisfied with beholding your form” (Psalm 77:14f). It was this encounter with infinite love that led Caroline Gerhardinger to embrace the call of the Lord to devote herself to the education of the poorest of the poor through her congregation of the School Sisters of Notre Dame. In Bavaria in 1833 she, and two other women, consecrated themselves to Christ, vowing a life of poverty to teach the poor, taking the new name of Mary Theresa of Jesus. It was this same encounter with infinite love that led Sister Barbara Habing, S.S.N.D. and Sister Mary Christine Spour, S.S.N.D. to follow the example of Blessed Mary Theresa of Jesus. Sister Barbara and Sister Mary Christine, we welcome you home with great joy! We are grateful to and to the Lord Jesus Christ for your fifty years of service to God and man as School Sisters of Notre Dame! Through your dedicated witness, together with your Sisters in Christ, you shine for us as a beacon of hope and illuminate for us the path to Christ, who is the fulfillment of all desire. As I thank you for your generous service, dear Sisters, I ask you to allow me to a say a brief word to the young people present with us today. My dear young friends, these Sisters who celebrated today their Golden Jubilee are an invitation to each of us to give our lives to Christ so that we might be fully satisfied. The Lord Jesus, in his infinite mercy and love, desires to fulfill the longings of our hearts if we only we follow his will for our lives. Some of you here today the Lord is calling to follow him and serve him as consecrated men or women religious, as deacons or as priests; others he calls to serve him as faithful husbands and wives. If we are to be faithful to his call and truly be satisfied, we must, with the fully man, behold the face of God. This we know, yet too often we shy away from Christ, thinking him too demanding. If we let Christ enter fully into our lives, if we open ourselves totally to him, are we not afraid that He might take something away from us? Are we not perhaps afraid to give up something significant, something unique, something that makes life so beautiful? Do we not then risk ending up diminished and deprived of our freedom? … No! If we let Christ into our lives, we lose nothing, nothing, absolutely nothing of what makes life free, beautiful and great. No! Only in this friendship are the doors of life opened wide. Only in this friendship is the great potential of human existence truly revealed. Only in this friendship do we experience beauty and liberation. And so, today, with great strength and conviction, on the basis of long personal experience of life, I say to you, dear young people: Do not be afraid of Christ! He takes nothing away, and he gives you everything. When we give ourselves to him, we receive a hundredfold in return. Yes, open, open wide the doors to Christ - and you will find true life. Amen. Joseph Ratzinger/Pope Benedict XVI, Jesus of Nazareth: From the Baptism in the Jordan to the Transfiguration, trans. Adrian J. Walker (New York: Doubleday, 2007), 215. Pope Benedict XVI, Prayer Vigil with Young People, 1 September 2007. Commenting on my post wondering why the youth seem to like me as they do, Ian, from Sydney, Australia, says that a priest once said to him, "Children don't want you to be like them; they want you to like them." How true that is! Thom, of Ad Dominum, commenting on my post about what I witnessed after Mass last night, says: "Sometimes it's nice to just be able to say "Hi,Jesus," or "Bye, Jesus," knowing that He'll bethere when we return." This evening as I was walking into the church after greeting people after Mass at the parish of which I hope to become pastor, I saw something quite beautiful. A family was at the foot of the sanctuary with a little boy who, I'm guessing, was two or three years old. Dad told the boy to say goodbye to Jesus and he said, "Bye, Jesus!" Then, as they were crossing in front of the pews about to exit the church, the little boy waved his hand to the tabernacle and said, "Bye, Jesus!" Why wouldn't I want to be pastor here? The Shrine of the Holy Whapping offers us the wisdom of Pope Benedict XV in answering the question, "What kind of Catholic are you?" The Crescat offers a fine post on King Saint Wenceslas and Saints Cosmas and Damian, together with a post of images of the Moneyless Ones. They're entertaining angels unawares over at Adam's Ale. You scored as Haydn, You will go far by staying close by, instead of using your energy to climb the ladder of success. You are content to live in a small but dignified world, and you thrive in it. When first I agreed to be the assistant soccer coach, the players insisted that I wear my cassock, cape and biretta to every game, an insistance upon which I refused (for reasons of heat if nothing else; that cape is rather heavy!). I placed the order on the 9th of August and have been wondering about it ever since. 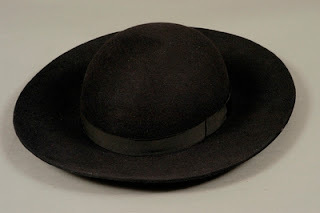 I e-mailed a query regarding its status yesterday and received a response this morning: the store from which I ordered it received the hat yesterday and will ship it Monday. I expect it will arrive in time for Thursday's game against our high school's main rival, Teutopolis. That should make the team happy. Today I again drove to the See City, this time to concelebrate the funeral Mass for our senior priest, Father Thomas Davenport. As is the custom in our Diocese at the funeral of a priest, the concelebrants chanted the Salve Regina just before the final commendation. Father Davenport had both the honor of being the tallest priest among us and the longest serving priest in the Diocese. He was born in 1916 and, though ordained in 1942, did not retire until 1993, serving as pastor of two parishes until that time. Our varsity team lost this evening's game against Sullivan 4-3 and the junior varisty team won 2-1. After a long meeting in the war room and a quick stop at Barnes & Noble to buy some Australian travel books, the game and the fun ride home provided an enjoyable end to the day. Coach was apparently having a few difficulties with the wind. A rainbow appeared over the field and was fully visible, stretching from one goal to the other (I wasn't able to fit the entire rainbow in my lens). I was standing at the bench joking around with some of the kids and the wind was blowing my hair making it look like I had a mohawk. They thought it was great, and I kind of like the picture. Tomorrow morning I off to the old War Room again in Springfield as the Priests' Personnel Board resumes meeting. After the meeting I'll hang around for an hour or so in Springfield and meet the soccer team in Sullivan for their match. Yesterday afternoon I met with most of the parents of the kids who want to come on the pilgrimage to World Youth Day 2008 in Sydney, Australia (with a four-day layover in Honolulu). My initial plans were to take two adults and nine kids, for a total group of twelve, mainly for logistical purposes. However, the interest among the kids has both amazed and startled me. I have right now twelve or thirteen kids – whose parents approve - who want to come! I thought I’d be good to get five! To this moment I am baffled by the response of the parents. They don’t seem at all concerned that I can’t give them yet a real cost of the trip. They don’t seem at all concerned that we’ll be gone twenty-three days for a five-day event. They don’t seem at all concerned that their children want to go to the other side of the world. In fact, they had only two questions for me. First, they wanted to know what Australian winters were like since we’ll be there then. I didn’t know. Second, they wanted to know it would take for me to bring all of the interested kids, as opposed to only nine. Again, I didn’t really know. I’m still rather taken aback by it all and I don’t know what to make of it. It’s all happening so suddenly and yet falling together so nicely and easily. This evening I met for three and half hours with a neighboring pastor who I am working with to organize the pilgrimage (actually, he’s doing most of the work, but the Hawaii bit is mine). I’m not very much like the kids. I don’t like sports (with the exception of soccer). I don’t listen to a bit of the music they do. I have no really idea what’s on television. I don’t really know very much at all about their world, except for the longings of their hearts. I know this doesn’t really have anything to do with organizing a trip, but it is one of the things I keep wondering about (I think I’ve wondered about it on the blog before somewhere). My other main concern has to do more with a lack of control over the whole situation than anything else. Strange as it may sound, I worry that everything is coming together so smoothly. I don’t know why, but I do. I ought to simply be grateful that is (and I am), but it does seem odd. I suppose I need to remember what Pope Benedict said about the call of Peter: Jesus offered Peter no answers, but simply called on him to trust. I’m not sure how many kids I want to take. If I take all of them I will need another chaperone, by Wednesday night. If I only take nine kids, how do I chose who I bring? I think I know what the Lord is asking of me in this case, but your prayers would be greatly appreciated. I hope to have come to a decision by the end of the day on Wednesday so we can get everything really moving along on Friday. The City Council will place on their [sic] agenda on Monday, October 1st, the question as to whether St. Boniface Church should receive landmark status. The position of the Diocese of Springfield [in Illinois] and most dioceses across the country is to reject that request. The diocese realizes the beauty of the Church and its history, but does not wish to be hedged into situations that will prevent the Church to be maintained. Also, St. Boniface Church was built by the people of the parish for a place of worship in which we honor God. They did not build the Church to honor an architect. Also, the building is only forty-five years old. To receive status a building should be at least 50 years old, but those who wish the status are looking at a broader interpretation. It seems natural that St. Boniface or any other building in the City of Quincy should be receiving Landmark Status when the owner of the building is requesting it. We are not requesting this honor. Come to the meeting! You might well guess my thoughts on this from what I have previously written. Today I will simply say – though a great many thoughts want to be put forth - that no church building is built to honor the architect and that when honor is paid to the architect honor is indeed given to God who gave the architect his talents. Every church building, by its very presence, gives honor to God. It cannot be otherwise, even for the ugliest of churches (they simply give less glory to the Most High). I have written about church buildings previously. The Dominican friar, Father Philip N. Powell, of Domini, me hanc aquam, offers his advice for handing on the faith to young people. I’ve been saying much of the same for some time and look forward to the day when more people catch on and listen to the young people themselves. Word has come to me that we lost the soccer game on Friday night against Raymond-Lincoln wood 2-0. Through Amos, the shepherd turned prophet, the Lord condemns his people “by the pride of Jacob” (Amos 8:7). What is this pride for which they are condemned? It boils down to the fact that they care more about themselves than they do about others. They are willing to use whatever they can to make a profit, even at the expense of the poor among them and at the expense of the worship of God. In effect, they are willing to, and indeed do, serve themselves rather than the Lord. This is the pride of Jacob and it is a pride in which each of us shares. Jesus addresses his strong words, “You cannot serve both God and mammon,” to remind us of our pride and to move us away from it (Luke 16:13). By these words he commands us to renounce our pride and to follow his way of humble love by dedicating ourselves entirely to his service, to be the stewards of all he has given us in his tender care. What then is the antidote to our pride? How do we overcome our self-centeredness? The answer can be found in the sign of the Cross. It is, on the one hand, a most simple gesture and, on the other, a most profound statement of faith, yet it is one that all too often we give very little thought to. We enter the church, dip our fingers in the holy water, and make some hurried gesture as if swatting away flies, not recognizing the great power that is in the sign we seek to make. When we enter the doors of the church, we pass, as it were, from earth to heaven and we become aware of our sin and pride. We make the sign of the Cross to place ourselves at the service of the Lord Jesus Christ. invoke the ineffable splendor of the Most High himself in his triune majesty; and it places those who utter it under his reign. Hell cannot speak this formula. Hell hates it. Everything in me that is reminiscent of hell – all haughtiness, and vanity, and malice, and venality, and cravenness and pusillanimity and concupiscence – quails before this invocation. We would do well to do the same, and to do so with attentive reverence and love. The priest, our parents and our godparents traced the sign of the Cross upon our foreheads on the day of our baptism. The priest explained that each of us has been “claim[ed] for Christ our Savior by the sign of his Cross.” The sign of the Cross is, then, a sign of ownership; it is the sign that marks us out as belonging to Christ and to no other. In the ancient world, the brand of the master was often put on the forehead of his slaves. We might recall that scene in The Lord of the Rings where the orc stands before Saruman and the white wizard asks him, “Whom do you serve?” “Saruman,” the Uruk-hai responds, and the mark of the white hand is placed on his head. The orc now belongs to Saruman and must do his bidding, being always his servant. So it is with us who have been marked for Christ, we belong to him, and it is for this reason that we cannot “serve two masters” (Luke 16:13). Considering the Lord “who gave himself as ransom for all” (I Timothy 2:6) we are moved to “praise the Lord who lifts up the poor” (Psalm 113:1a, 7b). In this way we come to learn that the Lord will raise up those who humbly devote themselves to his service “to seat them with princes, with the princes of his own people” (Psalm 113:8). Whenever we cross ourselves - either when entering the church or when asking the Lord to be in our mind, on our lips and in our heart before the Gospel, or at any other time – let us seek to be conscious of the mystery we invoke. By marking ourselves with the Cross of our salvation, let us seek to renew our service to Christ, dedicating ourselves to his service alone. By signing ourselves with the Cross, we place ourselves under the protection of the Cross, hold it in front of us like a shield that will guard us in all the distress of daily life and give us the courage to go on. We accept it as a signpost that we must follow… The Cross shows us the road of life – the imitation of Christ. Let us then look to the Lord, lifted high on the Cross, to know him and to be known by him, that we may keep his commandments and rest in his faithful love. Amen. Thomas Howard, If Your Mind Wanders at Mass (Steubenville, Ohio: Franciscan University Press, 1995), 53. In Klemens Richter, The Meaning of the Sacramental Symbols: Answers to Today’s Questions, trans. Linda M. Maloney, (Collegeville, Minnesota: The Liturgical Press, 1990), 132. Gospel verse of the day. Cf. II Corinthians 8:9. One of the soccer players complained today that I don't post enough about the team here. Judging from the picture, we either don't follow directions well, or we simply don't communicate well. I'm opting for the later. All sorts of suggestions for the picture were circulating amongst the team when the picture was taken, leading to some smiles, some blank stares (like mine, off in my own world), some odd signals, and a few just goofy looks. In one hour's time the team plays against Raymond-Lincolnwood at our field. Last year when we played on their field, if memory serves, it was during the buildup of what could have been a magnificent fall storm capable of tornadoes and everything else. It was a lot of fun watching the clouds roll in and to feel the wind pick up. Sadly, that doesn't seem likely today. Before the game is over I will need to be on my way to a wedding rehearsal about twenty minutes away. Can I have an assistant? There are days, as I've mentioned here before, that I would dearly love having a personal secretary, assistant, or whatever it is that we call them these days. How much easier life would be! I'm feeling that especially now as I return from a week away from the parish at our convention. While there I played a good game of Monopoly with several other priests, one of whom hadn't played for as long as I've been alive (I didn't win). In my last post I talked very briefly about our plans to attend WYD and the necessary - and providential - stop in Honolulu. I returned to the parish Tuesday evening for a soccer game in Altamont (we tied 0-0) and put up some announcements in the high school about the plans. I didnt' think I'd have too many interested, both because of costs and because of the length of the pilgrimage. I was wrong. I have - according to the easiest plans - nine spots for kids available and fourteen interested that I know of. I'm told there are five or more seniors who are very interested who have not yet contacted me. I'm holding a meeting today at the high school during lunch for interested students and one Sunday afternoon for interested parents. I'm happy to say that I have two chaperones already lined up and that a neighboring pastor is making the arrangements for his group and will simply double them for us. I only want to take a dozen - kids and adults - because it's easier to travel in small groups. It's also much less money that we have to raise in a very short period of time. But I also don't want to turn a kid away who wants to come. Another priest and I are working on taking a small group to World Youth Day in Sydney, Australia in 2008. Well, he’s doing all of the work and I’m adding myself and a few others to his itinerary. At any rate, I was chatting with him this evening and he told me major developments had occurred n the plans and that we needed to look at purchasing tickets almost immediately. Needless to say, I’m on cloud nine. Which means, in Greek, "I've found it!" It's amazing what you'll find on a book shelf. This morning I made a quick trip to the high school to finalize plans for my classes during my absence this week and realized I hadn't yet made a test for my students to take (naturally!). I then decided to return to my office and see if I gave a test over the desired material last year, but before I found last year's binder I found something I've been looking for all year: the teacher's manual! And to think I looked all over the high school for that book at the beginning of the year and never thought to look in my office. Those who are weighed down by sickness and the others who are wearied because of them, all of you: bear it in peace. For you will sell this fatigue at a very high price and each [of you] will be crowned queen in heaven with the Virgin Mary. I've not had much success finding time to put pen to paper this week to write the homily for the weekend Mass. It isn't that I haven't had time to prepare a homily, just that I haven't been able to set it forth and just as I should like it. If you want to know what I'll be preaching just a look at Pope Benedict XVI's Jesus of Nazareth. He has an excellent reflection on the parable of the prodigal son, or - as he suggests - that of the two sons, on pages 202-211. The precise part that I will use in the morning - by God's grace I only have one Mass tomorrow, which is quite uncommon - will largely depend on the strength of my voice. The class that I taught in Springfield today went very well, I think. I was able to teach through 3:14, only 45 minutes earlier than the scheduled ending. I was not able to do all that I had hoped - that was, admittedly, most ambitious - but we did have a few very good discussions. I enjoyed the experience and hope I'll be asked to have a go at another class or two. Having said that, my voice is stretched, my body is sore, and my mind is tired. But, as they say, there is no rest for the weary. There is in the morning an ecumenical prayer service of sorts that is held annually in Shumway. This year I seem to have been placed in charge of it with another church providing the music. I'm simply going to follow that order set forth in the Book of Blessings. I am about to begin work on that homily. Once the homily is finished, I'm off to bed. Tomorrow after the prayer service I'll be able to get a bit of rest until the evening when our Dead Theologians Society meets. Sometime tomorrow, though, I'll have to start packing and taking care of paper work before leaving for our weeklong clergy convocation that begins Monday afternoon. At this rate I'm never going to get healthy. 1. Fr. Tony in Texas is brilliant! This I realized - I may have forgotten it - after talking with him last night. It was Fr. Tony who gave me this sage bit of advice while we were in the seminary: "Don't put all your hands in a chicken." Think about it; it makes sense. (He meant to say, "Don't put all your eggs in one basket.") He's been given a new assignment, one that I don't envy, and could use a prayer or three. 2. I've been battling what is either a cold or possibly a bronchial infection for the past several days and I've cancelled two Masses at the nursing home this week because of it. I seem to have caught whatever it is from one of the soccer players or one of my students. Something's apparently going around. Last winter I was sick for eight out of ten weeks and I hope this isn't the beginning of a repeat of that. I offer you this advice: don't get old because arthritis weakens your immune system and makes it difficult to ward off even the common cold. Drugs can be helpful, but they also knock you out for a bit (or send you loopy) and don't do a great deal of good without a lot of rest (which I'm not likely to get anytime soon). 3. I'm currently in Springfield where tomorrow I will be teaching a class on the Creed for our Lay Ministry program from 9:00 - 4:00 (or whenever my voice gives out from the cold). This will be my first time doing this and I really don't know what to expect, other than 18 students. My task is simply to teach the Creed at an introductory level. To do so I will be relying on the Catechism and we'll see where we go. I do hope they're a talkative lot; I don't really care to listen to myself for six hours! Your prayers for this will be greatly appreciated. 4. Whenever I assign work for my students it always seems like a good idea, but then when they turn in the work it no longer seems like such a good idea. After grading a bunch of reflection papers and other assignments this morning, I set to grading tests. The Decatur Herald & Review has a very good article on last night's soccer game. There are also links to videos and pictures. And I beg the sick brother to give thanks to the Creator for everything; and whatever the Lord wills for him, he should desire to be that, whether healthy or sick, since all those whom God has predestined for everlasting life (cf. Acts 13:48), He instructs by means of the afflictions of punishment and sickness and the spirit of repentance. As the Lord says: I correct and punish those whom I love (cf. Revelation 3:19). Does anybody know if there is a significant difference in the version of Pope Benedict XVI’s The Apostles as published by Our Sunday Visitor and Ignatius Press? I know that OSV’s version is subtitled The Origins of the Church and their Co-Workers while Ignatius’ version is subtitled Jesus, the Apostles, and the Early Church. Beyond this, what is the difference? In what was easily their best defensive game thus far, the St. Anthony Bulldogs tied the St. Teresa Bulldogs this evening in Decatur 1-1. The boys played exceptionally well and should be very proud of themselves. Congratulations, boys! Having travelled with the team to the game a little more than an hour away, I've only returned to the rectory just before 11:00 and so I am now off to bed. Sorry for the lack of posts today! Pause and reflect, for the day of death is approaching (cf. Genesis 47:29). I beg you, therefore, with all possible respect, not to forget the Lord or turn away from His commandments by reason of the cares and preoccupations of this world, for all those who are oblivious of Him and turn away from His commands are cursed (cf. 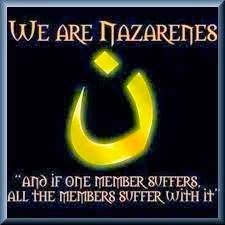 Psalm 118:21) and will be totally forgotten by Him (Ezekiel 33:13). And when the day of death does come, everything which they think they have will be taken from them (cf. Luke 8:18). And the wiser and more powerful they may have been in this world, so much greater will be the punishment they will endure in hell (cf. Wisdom 6:7). Ignatius Press is the place to go. They have a fair amount of their merchandise 20%-80% off. Design Toscano also has some good deals on their furniture. After a quick ride on the bike to the high school to collect some papers for grading, it feels as though autumn has fallen upon us in the course of a just a few short hours while we were sleeping. Then again, the cape might just be coming out sooner than thought. Andrew's been busy over at Unam Sanctam and asks, "What's that up in the sky?" and Frival at Utter Muttering asks if we should thank God for ... oatmeal. Christian discipleship is not for the faint of the heart. It is not for the weak, the timid or the cowardly. It is not for those who run from labor and growth and sufferings. The demands of discipleship are high and costly. Jesus demands that we relinquish all that we have, all that we think brings us happiness. Hearing his demands we begin to wonder: Is it worth it? The answer to this question can be found if we examine the three conditions Jesus gives us today. Why does he demand that we hate our parents, our siblings, our spouse in order to follow him? If we look closely at these relationships we see that each of them is a relationship that is very much bound to this earth, to this world. If we focus solely on these relationships we lose sight of the relationship that we are given in Baptism, we lose sight of the new relationship required to enter the Kingdom of heaven. You know that my parents have been dead for many years now. Trusting in the mercy of God, I have confidence that my parents are with the Lord. By his grace, the Lord has shown what my entrance into heaven might be like if I remain faithful to him. I have seen my parents waiting for me and I have seen us embrace each other, but only briefly. My parents then take my hands and present me to the Lord. That is our reunion. It is brief and, when thought of through the lens of this world, all too short. But in terms of heaven, this is at it should be. What do I mean? Through holy Baptism our relationship to each other and to God changes drastically: we become brothers and sisters of each other and sons and daughters of God Most High. Through Baptism, the Church is both my own Mother, and the Mother of my earthly parents; indeed, Holy Mother Church has given birth to each of us in the waters of rebirth. We entered into the waters as if being buried in the tomb with Christ, and we came out of the waters as though emerging from the womb. It is this new relationship with the Church, whose Head is Christ, that must take precedence in our lives. This is why Jesus demands that we renounce the relationships of this world. We see this in the example of Saint Paul and his relationship to Onesimus, who was once a slave, and his master Philemon. Paul proclaimed the Gospel to Onesimus and he accepted it and received Baptism. These two men are given a new relationship in the Church and for this reason Saint Paul refers to him as “my child Onesimus” (Philemon 10). And because the master and slave are now both Christians, Paul encourages Philemon to welcome Onesimus “no longer as a slave but more than a slave, a brother, beloved especially to me, but even more so to you, as a man and in the Lord” (Philemon 16). They are no longer master and servant, they are no longer even brothers, but “partners” in the Lord. So it is with each of us. Everything that we have is a gift from God and must be generously and lovingly given back to him and placed at his service. Every Christian must keep these words of the Savior ever in mind and heart: “Whoever does not carry his own cross and come after me cannot be my disciple” (Luke 14:27). Why must we carry our cross? Christ came among us to suffer and die for us, to redeem us and give us eternal life. If we are to be his followers we must follow his example. We, too, must accept the cross in our lives, we must embrace it, both to purify ourselves and to purify others. If we do not look to the cross with joy, then we keep our focus here in this world and we cannot follow Christ. What then of our possessions? If there is anything in our lives that we would not readily give to another in need, we are not in possession of it, but it is in possession of us. Everything that we have must be placed at the disposal of the Lord, for he along must be our one and only possession. He is the pearl of great price and the treasure hidden in the field for which we must sell all that we have to acquire. We need only look to the lives of the saints. We need only look to the example of Blessed Teresa of Calcutta, who suffered the absence of the Lord for forty years, who served the poor, the destitute and the dying of Calcutta. We look at her smile, at the love of God radiating from her and we know that this life is worth it. We need only look to the life of the Servant of God Pope John Paul II who lived in Communist Poland, who survived an attempt on his life, who suffered from Parkinson’s disease. We see his smile, we hear the joy in his voice and we know that it is worth it. We can also look to the example of the Holy Father Benedict XVI who before the conclave asked the Cardinals not to vote for him. During the conclave as it became clear to him that they were leaning in his direction, he prayed, “Lord, don’t do this to me.” We remember the joy – and the trepidation – in his eyes as he stepped out onto the balcony that first time. Now, after he has accepted the cross of his office – remember, he had hoped to return home to write – the joy of Christ is evident in all that he says and does. Each of these dedicated every aspect of their being to the Lord and, though their lives were beset by hardship and difficulty, they found true joy and lasting peace. Let us then beg the Lord to “prosper the work of our hands,” that we might each remain faithful to his calling (Psalm 90:17). Being his faithful servants before all else, we, too, may cry out to him: “Fill us at daybreak with your kindness, that we may shout for you and gladness all our days. And may the gracious care of the Lord our God be ours” (Psalm 90:14, 17). Amen. Pope Benedict XVI, Prayer Vigil with Youth in Loreto, 1 September 2007. Yesterday morning, the Mater Dei knights defeated the St. Anthony Bulldogs in the soccer match 3-1. The field was again a muddy mess, this time worse than Thursday evening. Our players played well that day, but the Knights were simply a better team than ours, coming, as they do, from a school much larger than ours. I suppose it's only fair that the team under the patronage of the Mother of God won against the team under the patronage of the Paduan. The Bulldogs next play against the Charleston something-or-others Monday afternoon in Charleston. A word of welcome to my visitors from the Curt Jester. I removed the picture he originally linked to and included it in this post. My apologies for the inconvenience, and my thanks to the Curt Jester. 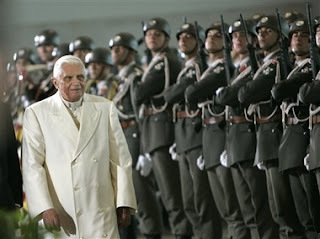 Pope Benedict XVI slams abortion on Austria trip. The Lord this morning has given me the grace of awaking at 3:30. I decided then to read a bit from Mother Teresa's Come, Be My Light, which arrived yesterday. I then decided to simply get up and begin work on my three homilies for the day (morning Mass, a wedding, and the anticipated Mass - there's a soccer game and confessions in there, too, somewhere), but not before turning on EWTN just in case I might catchsomething interesting, and something interesting I did indeed catch: Holy Mass in Austria celebrated by His Holiness Benedict XVI. It is raining thereat the moment and the Austrians must be a more intelligent lot than we Americans: I have seenonly one umbrella (more on that in a bit), but everyone seems to be wearing hooded rain ponchos, which keeps the vision clear for everone and nobody has to worry about losing an eye to someone's carelessness with an umbrella (we've all been there). During the Gloria one of the servers directly behind the Holy Father's chair was very clearly having difficulties with the Pope's white umbrella and the masters of ceremonies had to lend a hand in fixing it; apparently it had been attacked by the wind. They did get if fixed by the end of the Gloria. What strikes me most at the moment is the vestments; they are hideous. 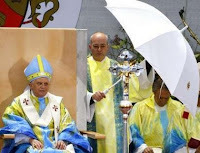 Beneath the clear ponchos worn by the Holy Father and the Bishops are chasubles that are, without doubt, blue, blue with a bit of yellowish green that seems to been poured down from the top. The mitre is blue, but it does have the pilgrim's shell on it; that is a nice touch. The deacon's dalmatic is very yellow. There are no muted colors today. I'm very anxious to hear the Holy Father's homily and to steal a gem or two for my homily this morning. The Alleluia was quite nice, and a bit exciting, really. 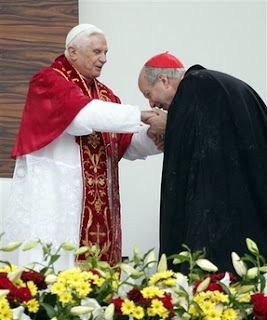 In his weekly column, "Grace & Mercy," Bishop Lucas discusses Pope Benedict XVI's recent Motu Proprio, Summorum Pontificum. 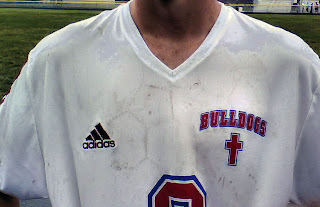 Yesterday afternoon the soccer match between the St. Anthony Bulldogs and the Effingham High School Hearts ended in a tie. The rain poured down mighty heavily and the wind blew so strongly that umbrellas were not really of much benefit. Nonetheless, the players played well and gave it their all. I'm amazed how cold 75 degrees can feel when it's pouring down rain. The Effingham Daily News covered the game. 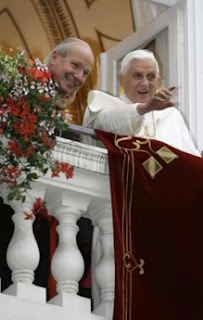 Here are a couple of the photos that are coming from the Pontiff's visit to Austria. The priests of the Effingham deanary are gathering today for their monthly luncheon together. I'm going to have a pizza Margarita. Oh, it's so good! This is Molly, the Pastor's five-year old German Shepherd. She, too, enjoys her DrPepper. The Pastor enjoys Diet DrPepper, and his dad - who has been staying with us for a few weeks - enjoys caffeine free DrPepper. Molly likes to play keep away with the bottles. She also likes to screw the caps off of the bottles, then bite off the white ring that remains from the cap, then to lick the bottle free, as best she can. I just thought I'd share that today. Ah, there's nothing quite like a good rainfall. The sound of the drops hitting the pavement. The sheets of rain blowing through the breeze. The delightful smell of fresh rain from heaven. The muddy mess the soccer field will be for this afternoon's game. I love rain! Trust in the Lord and He will take care of you. you gave yourself entirely to Him, refusing Him nothing. and become a carrier of His love to the poorest of the poor. witnessing to the joy of belonging totally to Him. the agony of His Heart as He hung upon the cross. especially those most unloved and unwanted. The English texts of the Holy Father's words - even the question and response session - from Loreto are up on the Vatican web site already! I still wonder why it took so long when he went to Italy. No matter. It seems somebody's working faster, and may God bless them for it! Ellen From Across the Net tagged me for the One Word Meme. The rule is simple: answer the following statements with, you guessed it, one word. I hereby tag whomever wishes to be tagged. Updated: Sr. Mary Martha's at it again, this time with the sweating saint. Thom at Ad Dominum has a good post reflecting on goats. Go take a look. Sr. Mary Martha's at it again reminding us that life in heaven is like being a nun. Alas, brother lamb, innocent animal, you represent Christ to men. A curse on that impious beast that killed you; may no man or beast ever eat of her. –St. 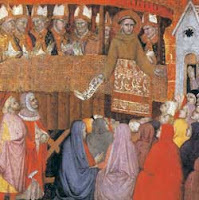 Francis of Assisi in St. Bonaventure, The Life of St. Francis 8.6. 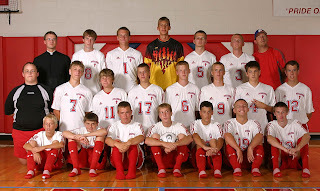 After losing their match with Greenville Saturday morning 4-1, the St. Anthony Bulldogs soccer team defeated Carlyle 2-1. Congratulations, boys! On a related note, the St. Anthony Bulldogs girls volleyball team won their game this evening against Stewardson-Strasburg. Congratulations, girls! Browsing around on Facebook this evening (as a general rule, Iadd only people I have met in person), I stumbled upon this video on You Tube from the show, Feasting on Asphalt, in which Alton Brown pays a visit to the Quincy Maid Rite. What is a maid rite, you ask? Here's the classic response: it's like a sloppy joe, but without the sloppy. They're delicious. And very greasy. So greasy that the grease soaks through the bun. And the wax paper. And the brown bag they put them in. And if you don't put the brown bag in a cooler the grease will soak through to the passenger seat of your car. It's really a heart attack on a bun, but it's well worth it! Word has reached me that the Effingham Catholic Charities food pantry is bare and your help is needed! If you're in the area and have the ability and the loving generosity, please swing by Catholic Charities and drop off whatever nonperishable food goods you can. Yesterday afternoon two friends came to spend the afternoon with me and to finish the preparations for their October wedding. We had an enjoyable time seeing the sites of the Effingham area and getting lost a couple of times in the countryside - which is why I need a driver - but, aside from seeing them, the highlight of the day was a happy, chance discovery we made: we found sourballs! 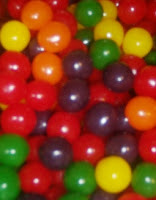 Back in Quincy one can get sourballs in every color, though the best is to get the assortment of colors. Here in Effingham, if you want an assortment you have to mix it yourself. Although they seem to cost twice as much here in Effingham as in Quincy, they are well worth the cost, being one of the greatest candies around. Oddly enough, I've never thought them to be very sour, so I'm not really sure the name comes from. Even so, they are fantastically good! I should have known that they could be found here because the financial secretary - who always keeps a fine and changing selection of treats on her desk - brings them in from time to time. She might even have told me where to find them once, but if she did I must have forgotten. I might have found yesterday what will become a weekly stop. Go read this post over at Shouts in the Piazza for a humorous and forgetful moment of our Holy Father in Loreto. I wish I could have seen it. Update: Creative Minority Report suggests additional reasons - together with headlines - for the liturgical color of vestments. Update: The American Papist has some useful commentary regarding both the Reuters article and the Holy Father's comments. This one from Philip Pullella of Reuters regarding the colors of liturgical vesture. "A decisive 'yes' is needed in decisions to safeguard creation as well as a strong commitment to reverse tendencies that risk leading to irreversible situations of degradation," the 80-year old Pope said in his homily. The Holy Father wouldn't have worn green vestments because, for example, Mass was celebrated during Ordinary Time, would he? Good grief... Talk about lousy journalism. Nicole Winfield of the Associated Press (whose work we have previously criticized) does not mention the green vestments in her article, "Pope urges young to care for planet." What does it mean to be humble? Saint Bernard of Clairvaux tells us that to be humble is to recognize both our strengths and weaknesses, our virtues and vices, and to live accordingly with our eyes set on the prize of heaven, on the seat that is ours at the banquet in heaven. Blessed Teresa of Calcutta is a model of true humility, for she lived her life in this way. She is the model of humility, of love, of service and of perseverance. You might have seen an article in the current issue of Time magazine about Mother Teresa titled, “Mother Teresa’s Crisis of Faith.” The title is a bit misleading, as you might have guessed. The article was published just days before a new book by Mother Teresa comes out on Tuesday, Come, Be My Light: The Private Writings of the Saint of Calcutta. This new book is a collection of some of her letters spanning some sixty years. Some in the media are suggesting that these letters have been recently “discovered” and that these letters show that Blessed Teresa had a lack of faith. Both of these suggestions are not quite true. These letters were not lost and could not, therefore, be “discovered.” They were collected ten years ago after her death by the Vatican and were used in the process for her beatification and, God willing, her future canonization. Only two of these letters imply that she nearly lost her faith. What, then, do these letters reveal? Jesus has a very special love for you. [But] as for me, the silence and the emptiness is so great, that I look and do not see – Listen and do not hear – the tongue moves [in prayer] but does not speak … I want you to pray for me – that I let him have a hand. This is probably not the image of the Saint of the Gutters that we had in mind. We often think of Mother Teresa as a woman very much unlike ourselves. We are familiar with the great and generous mission to which she dedicated herself by caring for the poorest of the poor in India. She gave her life in service to the most destitute of the earth. We have seen her in prayer and we have seen her at service. We have seen her stand up to the most powerful men in the world and we have seen her love the most pitiable person. We have seen her smile at people and radiate the love of God, a love that she herself did not always feel. And yet she writes that her smile was “a mask,” “a cloak that covers everything.” In this way she is not very different from us. Who among us has not experience the absence of God? Have we not all searched for him and listened for him, never to feel his presence at all? Has he not remained silent when we have shouted? Mother Teresa shares this experience with us, but her dark night of the soul lasted some forty years. Few among us can say that Christ was absent for so long. 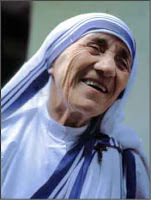 The example of Mother Teresa challenges us to remain faithful. We must, then, ask the question: Why would God do this to so holy a woman? I answer you: God remained the “Absent One” precisely because she was holy. What do I mean? I want Indian Nuns, Missionaries of Charity, who would be my fire of love amongst the poor, the sick, the dying and the little children … You are, I know, the most incapable person – weak and sinful but because you are that – I want to use you for my glory. Wilt thou refuse? Lord, my God, who am I that You should forsake me? The Child of your Love – and now become the most hated one – the one – You have thrown away as unwanted – unloved. I call, I cling, I want – and there is no One to answer – no One to Whom I can cling – no, No One. Alone. Why would Jesus do this to her? Why would he give the impression he had abandoned her? In 1951, Mother Teresa wrote, “I want to … drink ONLY from His chalice of pain.” This the Lord granted her. The Lord gave her the grace to feel the abandonment that he felt on the Cross. She also said, “I want to love Jesus as he has never been loved before.” The Lord seems to have granted her this, as well; no other saint endured the dark night of the soul as long as she. Some time after the darkness fell upon her, Mother Teresa wrote, “If I ever become a Saint – I will surely be one of ‘darkness.’ I will continually be absent from Heaven – to [light] the light of those in darkness on earth. I am willing to suffer … for all eternity, if this [is] possible.” This is true love, true and humble love, and this is why she is holy. Even though for forty years she did not feel his love, Blessed Teresa never stopped getting up at 4:30 in the morning for prayer. She never stopped caring for the poor. She never stopped lighting the darkness around her. She never stopped speaking of God’s love. Your longing for God is so deep and yet He keeps Himself away from you. He must be forcing Himself to do so – because he loves you so much – the personal love of Christ for you is infinite – The Small difficulty you have [regarding] His Church is finite – Overcome the finite with the infinite. These words she might well say to each of us. How was she able to say this to someone when she could not feel Jesus’ personal love for herself? One of her spiritual directors reminded her of three important things. First, that there was no human remedy for what she experienced and that she did not cause it. Second, that feeling Jesus is not the same as his presence; Jesus is often present without our being aware of it; also, that faith is not an emotion. Her deep longing for God and the success of her work were both signs of his presence. Third, that the dark night of her soul was part of the work God had given her and would be used by God to purify her and to lead others to him. I have come to love the darkness – for I believe now that it is part of a very, very small part of Jesus’ darkness and pain on earth. You have taught me to accept it [as] a ‘spiritual side to [my] work’… Today I really felt a deep joy – that Jesus can’t go anymore through the agony – but that He wants to go through it in me. Paradoxically, this is a comforting thought. The love of Christ Jesus for us brought him to the Cross and led him to invite us to share in his sufferings. The love of Mother Teresa for Jesus brought her to the Cross, to accept a share in his sufferings so that she might light the way for us who sometimes walk in darkness and do not feel the presence of God. Blessed Teresa of Calcutta took for herself the lowest seat and shared profoundly in the sufferings of Christ. Because of her faithfulness, the Lord has lifted her high. Let us look to Mother Teresa, to the Saint of Darkness, and learn from her true humility, true love and faithful perseverance. Amen. Fr. Robert Barron of Word on Fire has an excellent homily this weekend, as usual. My homily will be posted later this morning in between my two Masses. I have a few changes yet to make to the text before it is ready to go online. I have grown tired of hearing people of good will claim time and time again that a church building is nothing more than a place where the Church gathers. I am certain that I am not the only person upset with these claims so I thought I might reflect on the nature of a church building. There is some truth to these claims because “the church building houses the community of the baptized as it gathers to celebrate the sacred liturgy” (Built of Living Stones, 46). However, quite contrary of the claims of those with too much of an emphasis on the earthly dimension of a church building, the Catechism of the Catholic Church succinctly teaches: “These visible churches are not simply gathering places but signify and make visible the Church living in this place, the dwelling of God with men reconciled and united in Christ” (1180). While it is true that the Church is the People of God journeying on their pilgrim way to the New and Heavenly Jerusalem, it is also true that “From early times the name ‘church’ has also been given to the building in which the Christian community gathers to hear the word of God, to pray together, to celebrate the sacraments, and to participate in the eucharist” (Ceremonial of Bishops, 864). Furthermore, “it is in these churches that the Church celebrates public worship to the glory of the Holy Trinity, hears the word of God and signs his praise, lifts up her prayer, and offers the sacrifice of Christ sacramentally present in the midst of the assembly. These churches are also places of recollection and personal prayer” (CCC 1199). We often enter a church building without much thought. We ought to be more careful and recognize that “to enter into the house of God, we must cross a threshold, which symbolizes passing from the world wounded by sin to the world of the new Life to which all men are called. The visible church is a symbol of the Father’s house toward which the People of God is journeying and where the Father ‘will wipe every tear from their eyes’” (CCC 1186). If there should remain any doubt that the church building is much more than a simple roof over our heads, let us look at the Code of Canon Law: “By the term church is understood a sacred building designated for divine worship to which the faithful have the right of entry for the exercise, especially the public exercise, of divine worship” (Canon 1214). The church building, then, is the place to encounter God because “That building is both the house of God on earth (domus Dei) and a house fit for the prayers of the saints (domus ecclesiae)” (Built of Living Stones, 16). Looking at many of the churches built under the “gathering space” or the “worship space” mentality, one would be very hard pressed to identity such a building as “the dwelling of God with men.” One might much more readily recognize either a theatre or a living room than the house of God or the house of the Church. It must not be forgotten that, “besides its primary role of providing a suitable place for the celebration of the liturgical rites, the church building also offers a place to which individuals may to pray in the presence of the Blessed Sacrament, and in which groups of the faithful may gather for a rich variety of devotions expressive of the faith life of a given culture, region, or ethnic community” (Built of Living Stones, 47). How then does a church show forth the reality of the God who dwells among his people? The law of the Church reminds us that “our visible churches, holy places, are images of the holy city, the heavenly Jerusalem, toward which we are making our way on pilgrimage” (CCC 1198). “As visible constructions, churches are signs of the pilgrim church on earth; they are images that proclaim the heavenly Jerusalem, places in which are actualized the mystery of the communion between God and man” (Built of Living Stones, 50). As such, “the church building is a sign and reminder of the immanence and transcendence of God – who chose to dwell among us and whose presence cannot be contained or limited to any single place” (Built of Living Stones, 50). If the actual constructions themselves are to foster this awareness of the faithful, they must be truly and truly beautiful; that is, they must show forth the ontological reality of the building, namely, the Heavenly Jerusalem. If there is any doubt what this New City looks like, consult the book of Revelation. Should there be any doubt that a church building should dedicated, you might point them in the direction of the Ceremonial of Bishops: “When the building of a new church begins, it is desirable to celebrate a rite to ask God’s blessing for the success of the work and to remind the people that the structure built of stone will be a visible sign of the living Church, God’s building that is formed of the people themselves” (840). Here they might well latch onto that last phrase. If they do, remind them that we are sacramental people (we are Catholic). It is fitting, then, that we erect buildings to the glory and worship of God.